Nimrod Long and Associates (NLA) provided landscape architectural design services and assisted the Architect in master planning, grading and hardscape design for the 480,000-SF bank operations center on a 49-acre heavily wooded site in a suburban office park. The Landscape Architect’s role was to assist in the layout of roads, 1600 car parking deck and the 480,000-SF building on the site while preserving large stands of existing hardwoods and pines. 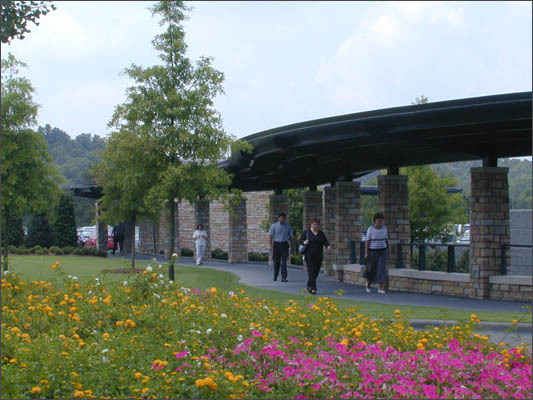 Nimrod Long and Associates provided preliminary site grading plans, detailing for terrace walls and plazas, Landscape Planting Plans, Irrigation Plans, and design for a paved walking trail through a wooded site. NLA also provided Construction Administrative services for the entire landscape implementation.